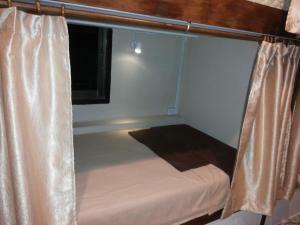 Badaka 99 is located 200 metres from Khao San Road. 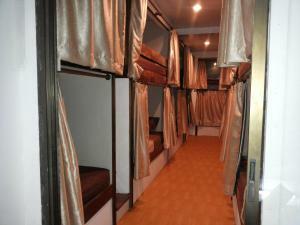 It offers air conditioned dormitory rooms with free WiFi. The property features a 24-hour front desk, tour desk and laundry service. The property is 800 metres from Bangkok City Pillar and 1 km from Temple of the Emerald Buddha. Suvarnabhumi Airport is 29 km away. 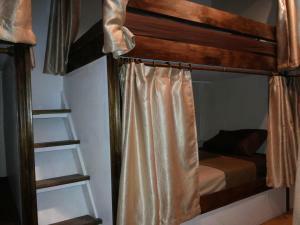 Each sleeping space comes with a personal reading light and curtains. Guests have access to shared bathrooms and shared lounging area. Luggage storage and airport shuttle services can be arranged upon request. The on-site restaurant serves local dishes. 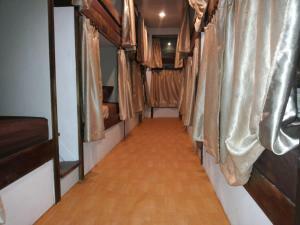 Equipped with air conditioning, each sleeping space comes with a personal reading light and curtains. Guests have access to shared bathrooms and shared lounging area. Rate: THB 300.00; select dates below to get current rates.